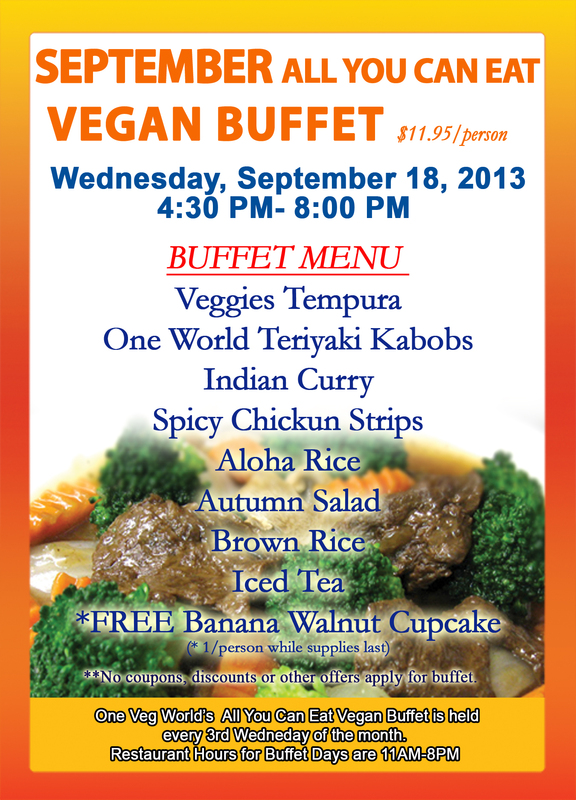 One Veg World’s Monthly All-You-Can Eat Vegan Buffet — August 21! 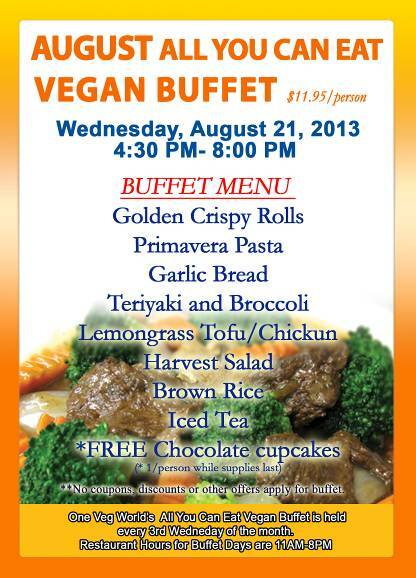 One Veg World’s Monthly All-You-Can Eat Vegan Buffet — July 17! 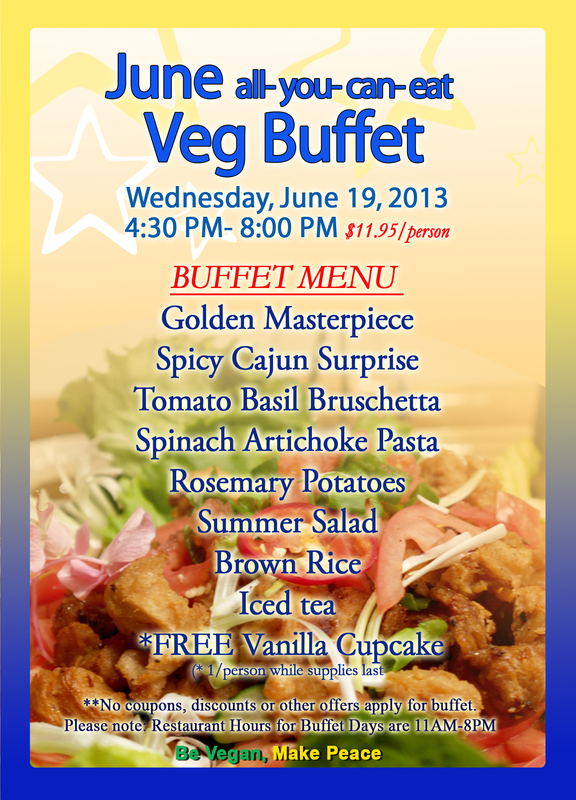 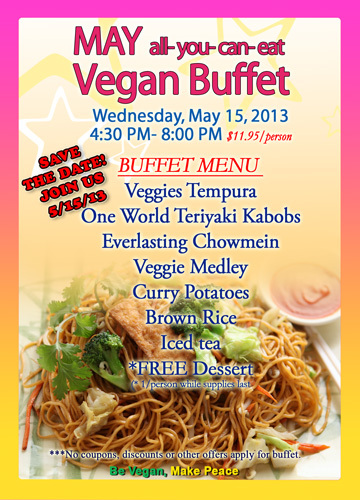 One Veg World’s Monthly All-You-Can Eat Vegan Buffet — June 19! 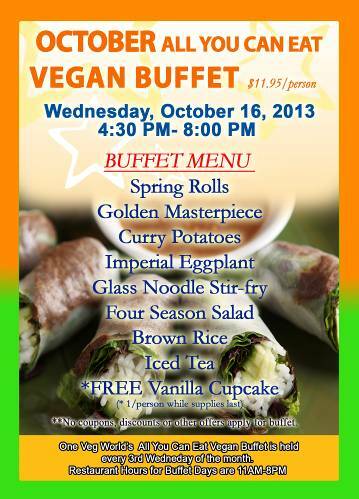 One Veg World’s Monthly All-You-Can Eat Vegan Buffet — May 15! 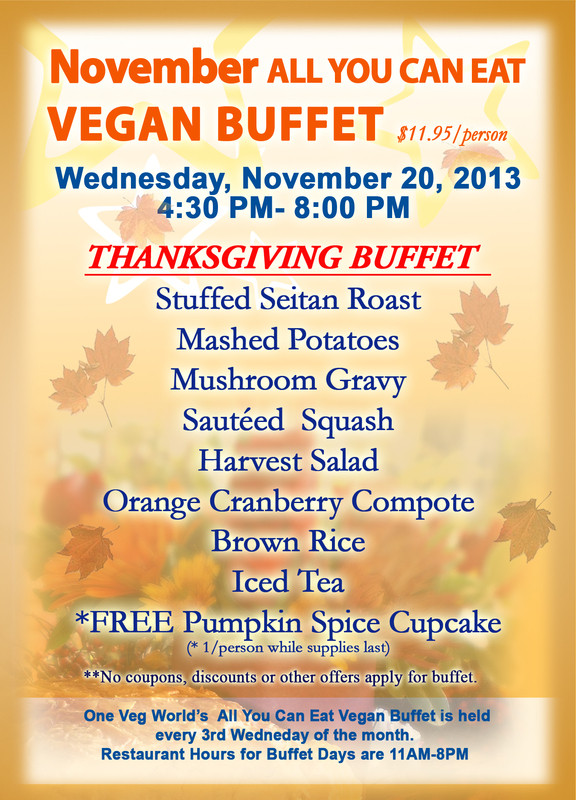 ** No coupons, discounts or other offers apply for buffet.